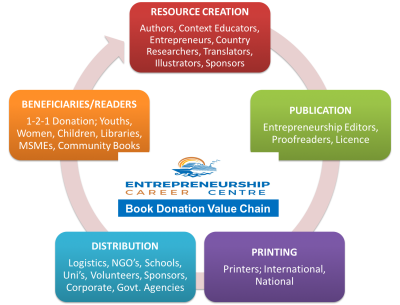 We enable entrepreneurship book gifts to encourage entrepreneurship career mass education and training. Our books are delivered to thousands of beneficiaries through individual direct book donations, to support your projects, as resources for MSME training, for schools, universities, libraries, agencies and so on to build entrepreneurial literacy and ability. Partner with us today, nominate beneficiaries, volunteer or provide financial support to fund copies for your nominated beneficiaries. Optional Customisation: Books you fund or finance could contain your personal message and/or logo e.g. This books is donated to you by....(your preferred words). 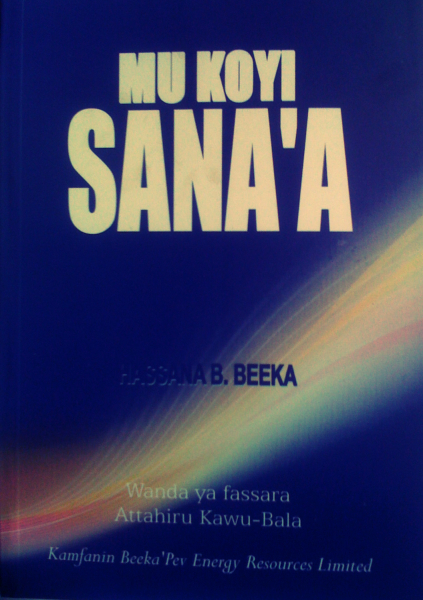 Also, these books can be translated and contain your country context information. Beneficiary Benefits: Lifetime entrepreneurship book gift to develop the recipient and make the world a better place. Recipients recieve inclusive additional support of at least four FREE one-to-one coaching and mentoring sessions in areas of career or business interest e.g. agriculture, arts and crafts, tourism etc, we contact beneficiaries and connecting them to other relevant stakeholders. Distribution: We partner with stakeholders like charities, schools, government agencies, the private sector, MSME training agencies, nonprofits etc to ensure these entrepreneurship books are distributed worldwide and reach the best destinations for impact, making a difference in lives. Payment: Call or email info@entrepreneurshipcareercentre.org for any clarification or to discuss your contribution. Alternatively, call +44(0)2079657340 for phone donations or for bank details; write out cheque to "Entrepreneurship Career Centre"
All ECC projects aim to stimulate and enable entrepreneurial career and business development. These books are timeless gifts of impactful learning and knowledge. Support us today to empower generations that can create jobs to wipe the tears off the faces of the vulnerable, alleviated from disadvantage toward making better social and economic choices through trade. Through this mass education initiative together we can utilise entrepreneurship resources to transform the world. Identify with this worthy cause and make history through entrepreneurial career development supporting individuals, schools, universities, libraries, MSMEs, donate today to enable the lifetime gift of knowledge. Thank you. We are thankful to all entrepreneurs, volunteers, governments, individuals and organisations too numerous to mention who supported over the years our mission to develop enterpreneurial careers. We specially thank everyone who supported our books and entrepreneurship education/ training projects. With special mention and appreciation to the distinguished following for their partnership, book support & developing entrepreneurship.